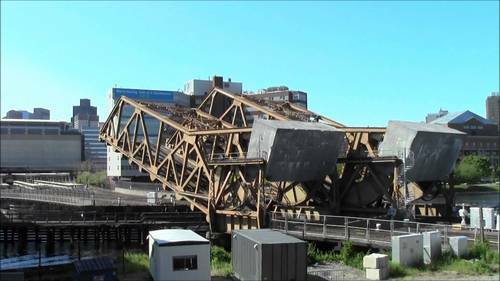 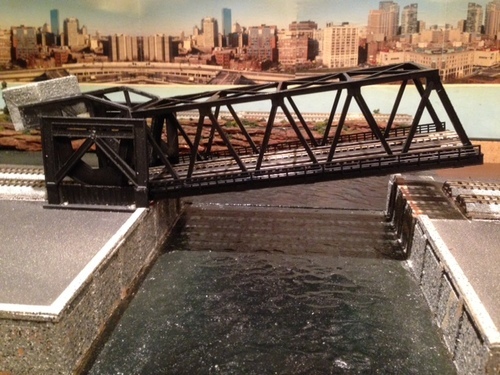 Description: Below are functional drawbridges using Kato double track bridges and custom build 3D printed mechanisms to raise and lower the bridges. 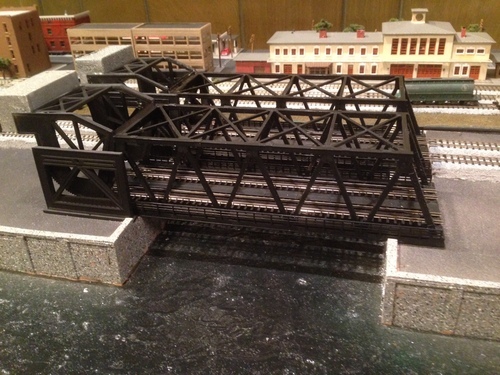 The mechanism was designed from a photo, as a guide, using a free Sketchup Make 3D software program. 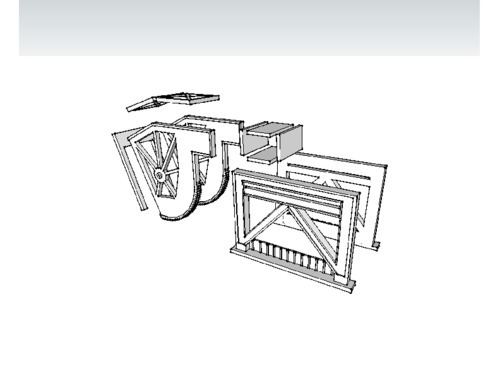 Below are photos of the actual bridge in Boston, assembly diagram (by the Sketchup program), single drawbridge (in progress), and the final pair of drawbridges on a double wide 33mm spaced module.